There's been plenty of water under the bridge since Kilmallock's Andrew O'Shaughnessy was one of hurling's brightest talents, not least Limerick winning a first All-Ireland hurling title since 1973. But around the turn of the millennium, it was a reasonable to assume that if the Treaty men were going end their famine, O'Shaughnessy would be in the middle of it. Limerick weren't short of underage talent at the time as they were in the process of winning three All-Ireland U-21 titles on the bounce from 2000-'01 but even then, everyone in Limerick and beyond knew about the talent of the Kilmallock man. He helped St Colman's Fermoy to three consecutive Harty cup titles from 2001 to 2003. In the 2001 final one match report read that he "produced one of those brilliant individual performances for which Harty Cup finals are so often remembered." He was just 16 at the time. The Cork school, inspired by O'Shaughnessy, went on to win two Croke Cup (All-Ireland colleges hurling) titles for good measure. Everything he touched turned to gold in those days. 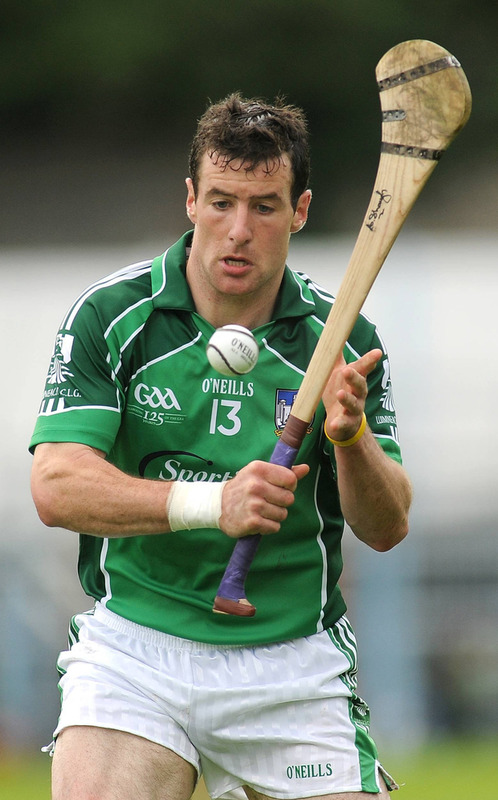 O'Shaughnessy picked up two All-Ireland U-21 medals with the county but despite the obvious talent at their disposal, Limerick would struggle for traction for the early part of his senior career before they found their form in 2007. O'Shaughnessy was on top form as the Treaty slashed their way to an All-Ireland final. Kilkenny won on that occasion as they were in the process of establishing themselves as one of the greatest teams to ever play the game. However, he was Limerick's top scorer with 2-46 from seven games and earned himself an All-Star award. Limerick couldn't rediscover that form in the coming years and the fallout from Justin McCarthy's reign damaged the county, while a Multiple Sclerosis diagnosis turned his world upside down. By the spring of 2011 and at the age of 26, O'Shaughnessy called time on his inter-county career, meaning that when Limerick finally reclaimed Liam MacCarthy, O'Shaughnessy was looking on. 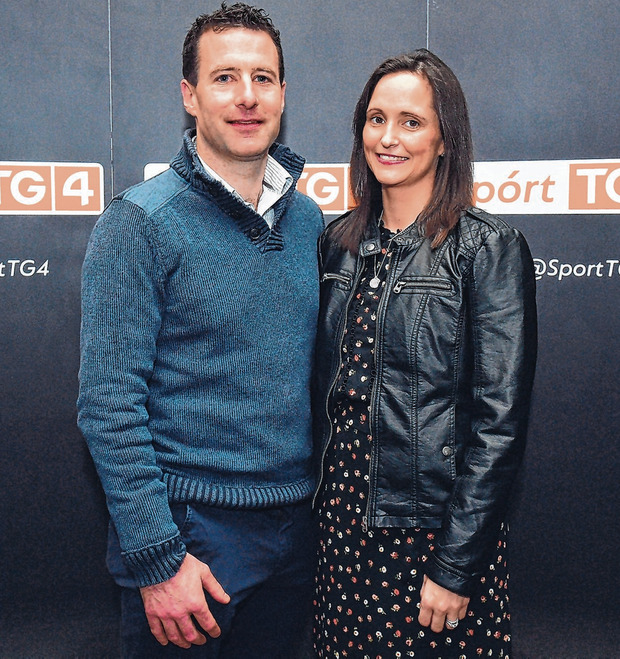 Yesterday, it was announced at a launch in Dublin that he is one of a host of GAA stars who will get the 'Laochra Gael' treatment from TG4. And while O'Shaughnessy and his era missed out on an All-Ireland medal he is proud at how the current crop have handled their success, especially seeing as his generation were often accused of squandering their talent. "He probably doesn't want to hear it but a lot of it is down to John Kiely and the way he manages his players," he said. "After every game, no matter what player spoke they stuck to the same message. (They) said it in different ways but it was coordinated. They're extremely grounded. It's great to see the Liam MacCarthy Cup going around and it hasn't gone into a pub, especially coming from Limerick and all the bad press we got in previous years, whether right or wrong, about pubs and alcohol. "That's a fantastic thing. It's nice to know they respect the cup that much, that while they are celebrating they don't bring the cup into a pub because it doesn't need to be in a pub. "Rightly or wrongly, that's what kids see. I think they do realise it - we didn't - that no matter what you do you're influencing the next generation. Because you're inside your own bubble you say, 'Right, I'm the most important person at the moment, sure I'll be here forever', but you have to think about the next generation. "The things the team have done have influenced a whole new generation and hopefully we'll see the fruits of that in the years to come." Limerick have hit the ground running this year winning both of their league matches and will get another stern test when they visit Kilkenny on Sunday. "Any team that plays Kilkenny defines their season to be honest with you, that's the standard they set. "The year they lost to Kilkenny in Nowlan Park, I thought they hurled particularly well but just lacked a little bit of awareness of when a score was needed or to do the right thing, they were that bit raw. "Last year then, especially after Richie Hogan's goal, the response was to go straight down the field, Tom Morrissey getting that point. Even the awareness of the half-forward line to catch a ball, because in previous years Limerick haven't been particularly good in winning their own ball but the half-forward line last year were. "This weekend will be an important game, of course it will. But they have the comfort of winning their first two matches so that gives them a bit of comfort and at the same time there is no relegation from Division 1A. "I don't mind on the result, I'd be more interested in the performance as opposed the result. Obviously if you win all well and good, but if you put in a great performance and you lose there is no harm in that either as at least you have something to work with."